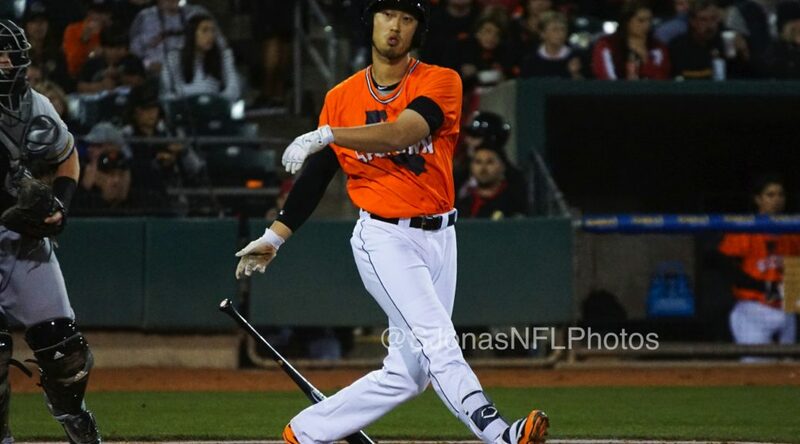 Sacramento, CA – It was a Welcome Home party of sorts for the Sacramento River Cats (44-56) as they took care of the El Paso Chihuahuas (57-42) 7-3 in front of a packed Orange Friday crowd at Raley Field. The River Cats pounced first on the Chihuahuas, scoring a season-high six runs in the first inning while starter Joan Gregorio kept the best offense in the Pacific Coast League at bay the rest of the way. Sacramento started off hot, as the first three hitters of the order all reached base safely setting up the veteran catcher Miguel Olivo with bases loaded and no outs. The 13-year-old MLB veteran did not let his opportunity go to waste, clearing the bases with a 389-foot grand slam home run. Olivo, who came in hitting just .208 at home this season, registered his eighth home run and the first grand slam for Sacramento this season. The first inning saw another first for the River Cats this year. Four batters later, shortstop Rando Moreno launched his first home run this season, a two-run shot that brought the score to 6-0. The shortstop has been on a tear of late, hitting .500 (6-for-12) over his last four games while bringing his average to .307 for the season. Moreno’s home run was his third in 1,917 career plate appearances over six minor league seasons. From then on, the right-hander Gregorio shut the door on El Paso over his next six innings, giving up just one run on four hits. The 6’7” fireballer came into tonight with a 1-1 record in three starts against the Chihuahuas, having allowed 13 earned runs over 12.2 innings against them. In tonight’s victory, not only did he earn his third win on the season, but he also picked up his 500th career strikeout in the first inning. Gregorio had all his pitches working tonight, striking out a season-high nine El Paso hitters, six of which came in the first 10 batters he faced. The 19th ranked prospect in the San Francisco Giants organization, Gregorio threw 99 pitches, 67 of which went for strikes en route to shutting down the best offense in the league. Despite being outscored 62-49 by El Paso in their first 12 meetings, Sacramento was unfazed tonight and have now outscored the Chihuahuas 14-6 in their last two meetings. Of the River Cats’ nine hits tonight, four came courtesy of the top four hitters in the lineup, who also scored four of the team’s seven runs. Sacramento will seek to win their fourth straight game tomorrow night, a feat they have only accomplished twice this year. Right-hander Austin Fleet (0-1, 4.15) will make his second start for Sacramento this season. He will square off against El Paso’s southpaw Frank Garces (4-3, 4.41), who is 0-1 with a 4.22 ERA in two starts against the River Cats. First pitch is set for 7:05 p.m. (PT) and the game can be heard live online at rivercats.com and on the air on ESPN 1320. New Orleans, LA – The rain came down early but could not ruin the Sacramento River Cats (42-56) parade over the New Orleans Zephyrs (46-49). First pitch was delayed an hour and 46 minutes, but when the game got going, so did the Sacramento bats. Adalberto Mejia did enough to earn the win, as three home runs powered the River Cats to victory. New Orleans got on the board first in this one, but Sacramento responded and continued to add on late. A close 4-3 ballgame entering the sixth was torn apart by back-to-back blasts from Andrew Susac and Travis Ishikawa over the centerfield wall. It was the second time Ishikawa has been a part of consecutive homers this season; last time was in Las Vegas on June 28 off the bat of the first baseman and Myles Schroder. Susac lead the offense tonight and finished 3-for-4 with two runs and two RBI. Ishikawa followed closely and went 3-for-5 with two runs and an RBI. Behind them, the team collected a total of 12 hits on the night with two doubles and three home runs. The third home run came off the bat of Austin Slater in the top of the ninth and drove in the final two runs of the game to give Cats the eventual 10-4 victory. Kelby Tomlinson also picked up a two-hit night with a double and a run scored from the top of the order. Joe Panik continued his rehab assignment with Sacramento this evening and fulfilled all seven innings he was slated to play. He started with three consecutive popouts at the plate before finally breaking through with a double in the seventh. The second baseman finished 1-for-4 with a run before handing the reigns to Rando Moreno. On the mound, Mejia provided enough to collect his third win with Sacramento. He gave up an early set of runs in the first two innings before settling in to retire 12 straight. The southpaw entered the game with a 1.46 ERA in July and lead all the Sacramento starters with a 75% left on base percentage. He continued the trend tonight and held the Zephyrs to just 1-for-6 with runners in scoring position. The newest River Cats starter allowed four runs on six hits across six innings of work with no walks and six strikeouts before the bullpen took over. The bullpen stifled any comeback attempt as Duke Welker came in and threw two scoreless innings on three hits. He was followed by a perfect inning from Matt Reynolds to close out the ballgame. The win puts the team 14 games under .500 and 4-3 on the road trip. Sacramento gives right-hander Chris Stratton (6-4, 5.22) the nod to close out series tomorrow night. He faces off against New Orleans’s lefty Justin Nicolino (4-3, 2.44). First pitch is set for 5:00 p.m. (PT) and can be heard live online at rivercats.com. 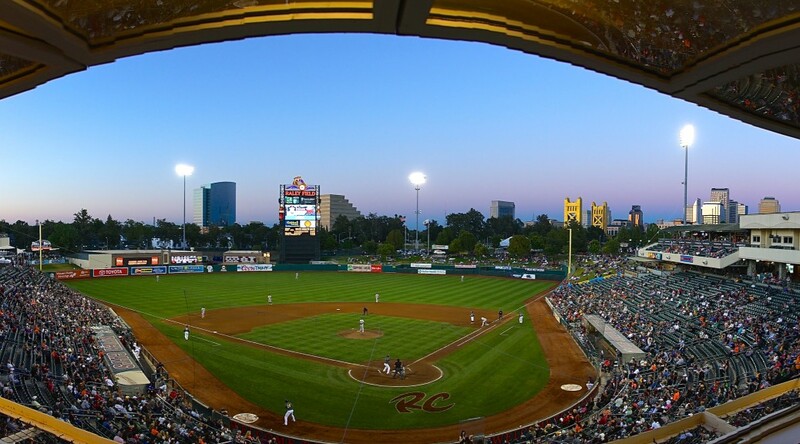 Fresno, CA – The Sacramento River Cats (36-50) entered tonight seeking their first win this year against the Fresno Grizzlies (42-41), and did so with a huge night at the plate and support from an equally impressive bullpen. Six ‘Cats had multi-hit nights to help break a deadlocked game in the eighth, while the bullpen held on to close the door late. After a walk and a balk from Joan Gregorio, Fresno broke through first to take a 1-0 lead at Chukchansi Park. 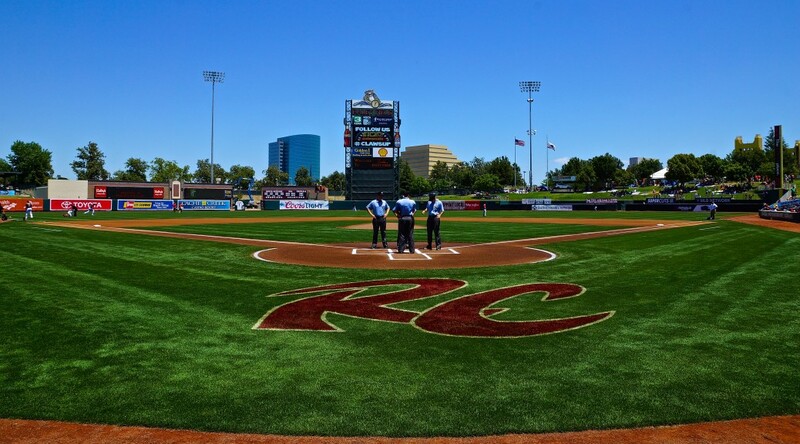 Sacramento quickly followed, however, with a triple from Myles Schroder, his first on the year with the River Cats, which sent home Ryan Lollis to knot things at one. 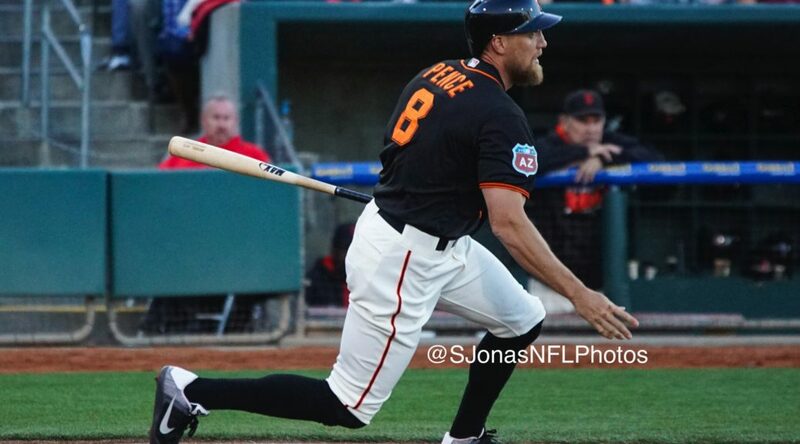 The game remained locked up at one until the breakthrough fifth inning where back-to-back singles by Travis Ishikawa and Andrew Susac gave Sacramento its first lead of the series. Fresno responded with back-to-back doubles in the bottom half of the inning to tie the game back up at three apiece. That would be all for Gregorio, who finished just two strikeouts short of a 500 in his career. He entered tonight’s game with 492, needing to match his season-best of eight to reach the milestone. He will have to wait a few more days, however, as he struck out six over five innings, allowing three runs on seven hits while walking three. The 6’7” righty struggled to find the zone tonight, throwing just 60 of his 96 pitches for strikes and also committing two balks. Succeeding Gregorio would be Steven Okert and Tyler Rogers, who combined to retire nine straight while picking up three more strikeouts. Jean Machi entered the game in the bottom of the ninth, giving Sacramento fans a brief scare allowing one run on two hits, but salvaged the win for Okert, who moves to 4-2. The save is Machi’s first with the River Cats this season. The key eighth inning rally marked a big step forward for a recently struggling Sacramento offense. Three singles from the middle of the order set the table in front of a triple by Rando Moreno that busted the score open at 6-3. The team picked up three runs on four hits in the eighth alone and finished with 15 hits overall, including three for extra bases. In just his sixth game with Sacramento, Ali Castillo has made his presence known in the River Cats lineup. Tonight he picked up his fifth multi-hit game, finished 3-for-5, and is now hitting .500. Alongside him, Schroder and Moreno each went 2-for-4 with two RBI apiece. Sacramento closes out the short series against Fresno tomorrow with right-hander Clayton Blackburn (5-6, 5.01) on the mound. The 2015 PCL ERA Champion opposes Grizzlies’ righty Joe Musgrove (3-3, 4.73). First pitch is set for 7:05 p.m. (PT) and the game can be heard live online at rivercats.com and on the air on ESPN 1320.